Goebel Schneid-und Wickelsysteme GmbH, a German supplier of slitter rewinders for the processing of papers, plastic films and flexible packaging materials, will present its next generation of slitter rewinders at CHINAPLAS 2013. 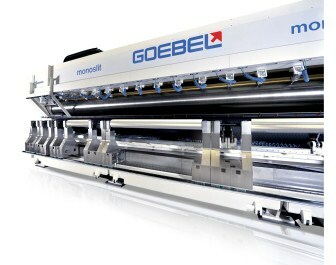 The company will highlight one of the widest primary slitter for film converting, the Goebel monoslit giant, with 11,000m working widths, speeds up to 1,500m/min and outstanding technology. As said, the machines convert plastic films such as BOPP, BOPET, BOPA, PE, OPP, CPP as well as capacitor film, optical film and other special material into finished rolls. The new machine is cost efficient and flexible to ensure an increase in productivity for film producers.